Informed decision-making is crucial to the success of policies and reforms that foster growth and prosperity. So, how can we help decision makers make better decisions? Recently planted avocado trees in the Alto Laran district, in Peru. A five hours’ drive south of Lima lays the coastal provinces of Chincha. If one heads inland into the deserted mountains that are typical of costal Peru, one would be surprised to find agriculture blanketing the valley floor. For centuries local communities in these rugged terrains have been using water from small meandering streams to grow maize, and eke out a living by selling surpluses at nearby markets. However, in recent years the growth of industrial agriculture has squeezed these communities, making it hard for them to survive in these ancestral lands, forcing many of them to move to nearby cities such as Chincha Alta. Paraguay’ s progress towards developing a National Financial Inclusion Strategy received a boost of energy and analytical rigor last week, as the Central Bank released new demand-side data describing the current state of financial inclusion for the country’s 4.8 million adults. According to the EIF (Encuesta de Inclusion Financiera) data, 29 percent of adults in Paraguay have an account at a formal financial institution, 28 percent of adults use a mobile money product, and 55 percent use some type of financial service (including both of the former but also credit, insurance, and other payment products). This puts Paraguay below the average for account penetration in Latin America (39 percent as of 2011), but suggests that the country is a regional leader in the expansion of mobile financial services. The EIF was conceived of last fall when the Paraguayan authorities, eager to paint a comprehensive and up-to-date picture of financial inclusion in their country, expanded the Global Findex questionnaire to cover additional topics including financial capability, insurance, and domestic remittances. Efforts were also made to align the EIF questionnaire with the unique financial-sector landscape in Paraguay, which features a strong cooperative sector and a fast-growing mobile financial service industry led by mobile network operators (MNOs) Tigo and Personal. The resulting EIF data, collected in late 2013 in partnership with the World Bank and Gallup Inc., represents a valuable update and extension of the 2011 Global Findex. On June 4, the data and related analysis were presented to the public by Santiago Peña, board member of the Central Bank of Paraguay, in an event that included key stakeholders such as the Minister of Finance, the President of the Cooperatives regulator (INCOOP), the World Bank Resident Representative, and representatives from the public and private sector as well as a wide range of civil society actors. The data and event – described in detail the next day on the front page of a national newspaper – also served to renew momentum toward the development of the National Financial Inclusion Strategy. The authorities plan to use the EIF data to define targets, identify priority populations, and develop policy actions. The data will also act as a baseline from which to measure progress and as a means to hold the government accountable for its financial inclusion commitments. 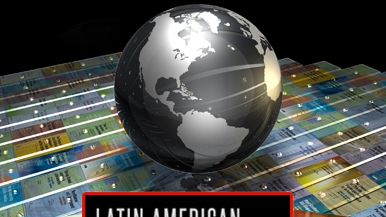 In every forum where the future of Latin America and the Caribbean is analyzed, the same question in different forms is often heard: how can the region sustain and expand on the important economic and social achievements made in recent decades in a context of deceleration and high global volatility, such as the current one?